This list provides links to biospecimen resources that may be of interest to cancer epidemiologists, but is not exhaustive. Access to resources is dependent on procedures outlined for each individual study or resource. Availability may depend on suitability of proposed research, collaboration with study investigators, ethical considerations, approval from a steering committee, or availability of samples to perform study. The goal of this searchable database is to facilitate collaboration and highlight research opportunities within existing cohort studies. The CEDCD contains descriptive information about cohort studies following groups of people over time for cancer incidence, mortality, and other health outcomes. In addition to general study information, the CEDCD also includes biospecimen information for the studies. Links to multiple resources, including NCI’s Cooperative Human Tissue Network, the National Clinical Trials Network (NCTN) Biospecimen Banks, and Specimen Resource Locator. The NCS Archive provides researchers with access to data and samples collected in the NCS Vanguard Study, which tested methods and procedures planned for use in a large epidemiological cohort study of environmental influences on child health and development. Learn about NHLBI open collections, request data and/or biospecimens, and register study information. The primary goal of the eMERGE Network is to develop, disseminate, and apply approaches to research that combine biorepositories with electronic medical record (EMR) systems for genomic discovery and genomic medicine implementation research. To facilitate collaboration, external institutions may apply for affiliate membership. Collects, maintains, and distributes biospecimens and cell lines, and provides qualified researchers with materials for research on salivary gland tumors. Searchable database for NIDDK data and samples. CHEAR was established to allow NIH-funded studies focused on children's health to add analyses of environmental exposures. The analyses are available without charge, but they require an application and agreement to CHEAR policies for data sharing. This is a repository of DNA samples to help NIEHS and other scientists screen for genetic polymorphisms in "environmentally sensitive" genes. 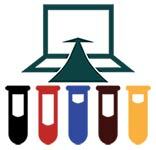 This is a web-based platform for sharing biospecimens and/or datasets with the research community. EpiShare provides a central location for researchers to see summaries of NIEHS Epidemiology Branch studies and specimen inventories, submit requests, and track all requestor correspondence. This virtual repository provides investigators with an introduction to NIA's biogerontology studies and links to repositories that have human biospecimens available for sharing. This data resource and tissue bank was created to study the relationship between genetic variation and gene expression in multiple human tissues. This is a national resource for investigators utilizing post-mortem brain tissue and related biospecimens for research to understand conditions of the nervous system. BBRB is active in development and improvement of policy for biospecimen resource management and collection, supports research informing best practices, and more. For studies that are interested in implementing biospecimen sharing, the following are a few examples of NCI-supported studies with well-defined biospecimen sharing forms and policies. Other examples of policies and request forms for cohort studies are available through the Cancer Epidemiology Descriptive Cohort Database. ISBER provides several resources for biobanking and biospecimens, including the ISBER best practices and a tool for evaluating adherence to these practices. This not-for-profit international consortium provides policy and ethics support to public and private health research infrastructures by providing strategies to facilitate the development of research infrastructures and optimize data access and use and more. For questions about biospecimens related to cancer epidemiology research: Danielle Carrick, Ph.D., M.H.S., EGRP Biospecimens Coordinator and Program Director, Genomic Epidemiology Branch (GEB).